Bridgeway Villas announces temporary closure and reconstruction of our access bridge which will close access from Myra Janco Daniels Blvd. This work is planned to begin May 13th and end by middle of July. 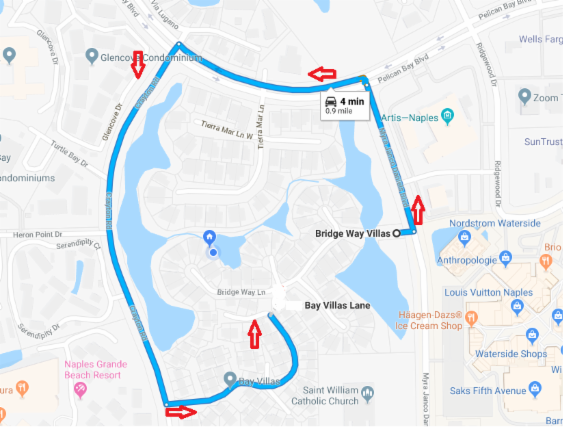 During that time, temporary access to Bridgeway Villas will be through Bay Villas from Crayton Road as shown. Signs will also be posted.